Webcam Apple Valley, Minnesota: TC HomeCam - A webcam in Apple Valley, Minnesota with image archive, weather data and timelapse videos. Prior Lake, Minnesota: St. Michael Catholic School, 13.4 mi. Minnetonka, Minnesota: Glen Lake Elementary School, 20 mi. Minnetonka, Minnesota: Scenic Heights Elementary School, 20.8 mi. Saint Paul, Minnesota: Willow Lane Elementary School, 23.4 mi. Long Lake, Minnesota: Orono Intermediate School, 28.6 mi. Minneapolis, Minnesota: National Sports Center, 30.5 mi. Andover, Minnesota: Near Andover High School, 37.2 mi. 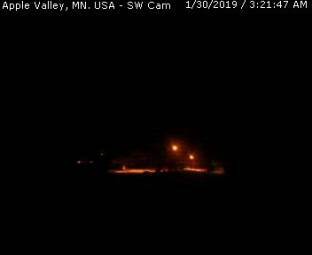 Ellendale, Minnesota: Weathercam, 52.5 mi. 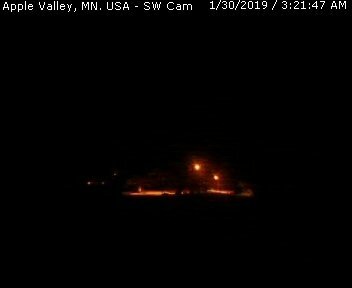 This webcam Apple Valley, Minnesota with the theme City Views was added on July 30, 2012 and is operated by tchomecam @ Weather Underground. It got 1158 visitors since then. Shouldn't this webcam work or should the link be wrong please report that here. You can add this webcam here to myCams.